Rose Geranium Floral Toner - 2 oz. 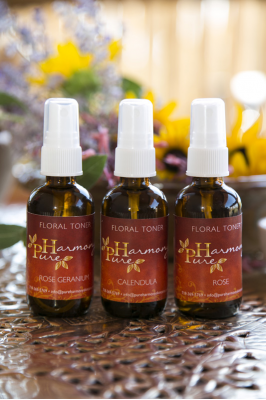 Home » Skincare Products » Rose Geranium Floral Toner - 2 oz. Amazingly effective for quickly restoring balance to complex and combination skin types. Helps create balance between dry and oily skin types by creating balance in sebaceous gland secretion. Cooling, anti-inflammatory and uplifting, rose geranium is also very balancing for hormones and has been found helpful in reducing PMS symptoms as well as sporadic menopausal symptoms. Helpful for mood swings and anxiety, it is uplifting and calming.